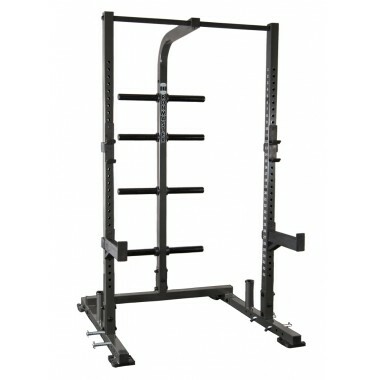 Squat racks or half racks are an effective powerlifting training solution and is similar to a power rack. Instead of the equipment having four uprights, they only have two. These are typically bridged at the top with a cross member that nearly always features a chin-up bar. 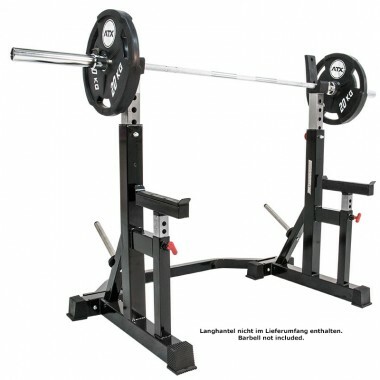 This not only adds a tremendous amount of functionality, it makes the set up a lot more solid – which is critical when performing squats. Space and money are both killers when setting up your gym. Save both with this great Megatec Wall Mounted Half Rack, but not at the expense of quality or safety. The only squat stands to get if you value quality and safety. Why would I want a squat stand or squat rack? Generally, my first recommendation for someone who is looking at setting up a free weight training home gym is to go for a power rack. However, for many people, especially those that live in the major cities like Sydney, Melbourne, and Brisbane, house prices are through the roof so space is at a premium. Both squat racks and squat stands will take up less space. The other factor is obviously cost. Both squat racks and squat stands are cheaper than power racks. Squat Racks and Squat Stands were primarily designed for, and stating the obvious, squats. So it is actually quite common for people to refer to a power rack as a squat rack, as it too was designed primarily for squatting. However, I feel the term squat rack is more appropriate for the half rack or half cage. You will see the similarities they share with squat stands. What features make a squat rack the right choice for me? 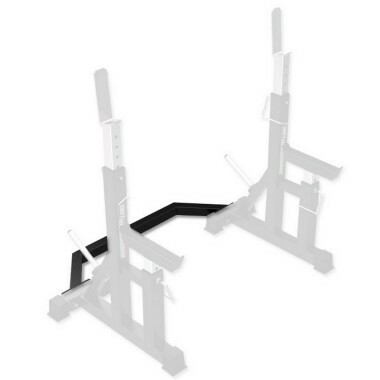 Like power racks, they feature j-hooks which can be adjusted to get you in the perfect start/stop position. This also means they can be used for other exercises like bench press. But even more important, the squat racks that we have for sale, also feature adjustable spotter arms. 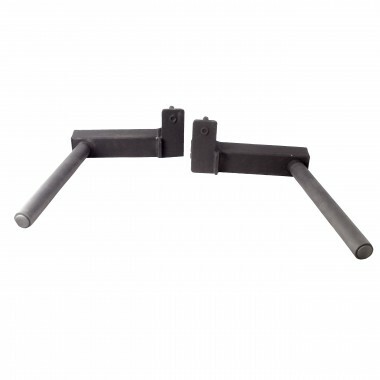 These are set just below the bottom of your range of movement and provide you with protection from being crushed under the bar if you can’t complete the rep. This is very important for exercises like bench press if you plan on training alone. For many, the squat is the exercise that you will lift the heaviest weight. So there is no chance that you can lift the weight up on to your shoulders unassisted. This was the age-old dilemma that faced the weight trainers of yesteryear and gave rise to the squat stand. Squat stands are two uprights that are not joined, on to which you put your barbell and load up the weight. 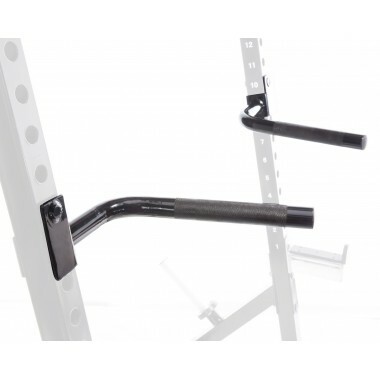 The Barbarian Commercial Squat Rack is not only extremely heavy duty, it is safe too, with the addition of some very handy adjustable spotter arms. The complete free weight solution for the gym looking for maximum space efficiency. Incorporates barbell and weight plate storage. Although this looks like a simple design, it is actually very clever. You simply won't find a half rack of this quality and footprint for this price. There is a legion of Powertec Half Rack owners in Australia already, so they can upgrade their gyms with a dip option. New customers can start dips straight away! 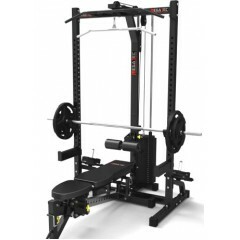 If you own a Powertec Power Rack you can add an Optional Lat Tower, it simply bolts to the back of the power rack. 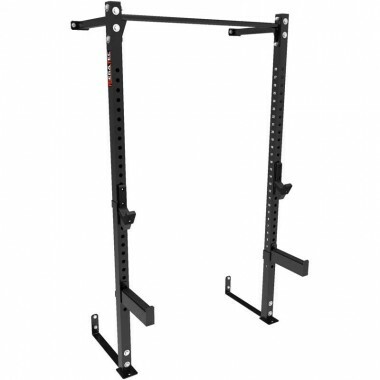 The Megatec J-Hooks can be purchased for the added convenience of training on your power rack and half rack. 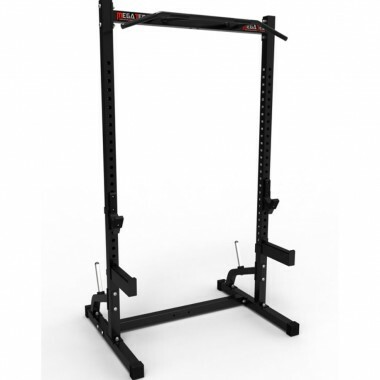 Turn your Barbarian Squat Stands into a Squat Rack! In my highly biased opinion, I believe we stock the best squat racks in Australia. 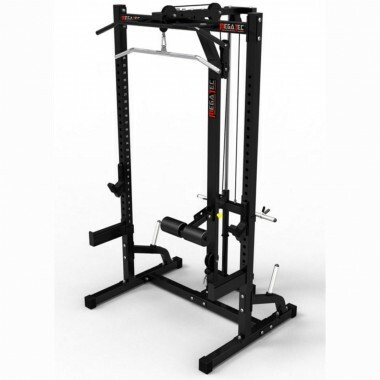 The Megatech and Powertec squat cages both have the option of adding a lat tower option. This will allow you to do both high and low pulley exercises like lat pulldowns, seated rows, and bicep curls. Combined with the barbell functionality on the squat rack, these systems alone offer the complete free weight training experience – without taking up too much precious space. In the early years, weight trainers would have to improvise, but thankfully now you don’t have to risk death and injury by using something that was not designed for this specific task. However I do issue a strong word of warning – buying cheap squat stands and lifting heavy weight can be deadly! If they utilise poor quality materials combined with a poor design, they may fail or simply fall over just when you really need them after barely completing your last rep of squats. 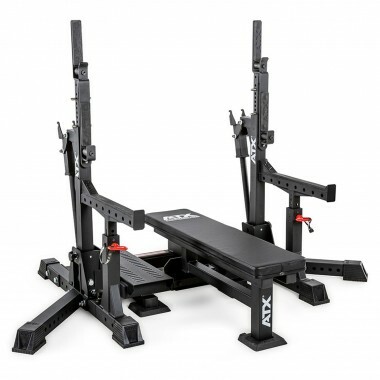 The Ironmaster IM1500, while not offering the last option, has built-in weight plate and barbell storage. This is often overlooked when browsing for a home gym set up. It is not until you have got your gear built that you realise that you need somewhere to put your plates and barbells. 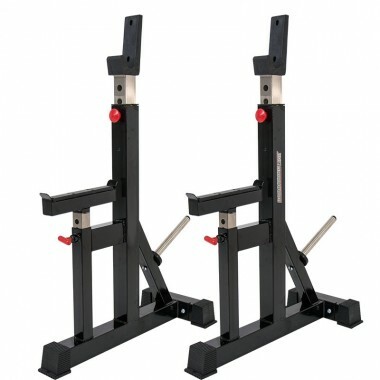 Squat stands were a very late addition to our range. I was never a big fan of the safety aspect, especially considering the relative affordability of squat racks and power racks. However, shortly after the ink on our deal with Barbarian dried, the Barbarian Commercial Squat Stands were one of the first products I ordered. Not only are the built from the highest quality materials – the thick steel tube adds a lot of weight to the stands which are the simplest way to add stability. They also have inbuilt spotter arms. These can be adjusted for safety when both squatting and bench pressing. The other advantage is that if later on, you have the luxury of more space, you don’t need to sell them, you can buy an optional base support that coverts them into a squat rack. The only downside with the Barbarian squat stands is obviously the price. 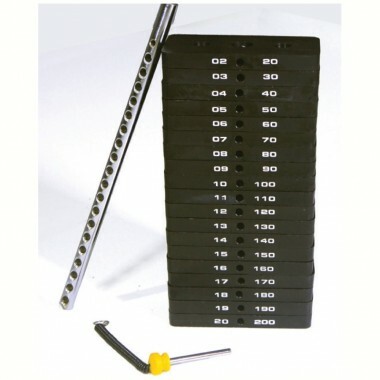 They actually cost more than the Megatec squat rack, but I refuse to sell anything cheaper or flimsy as in my opinion they are simply are not safe and are an accident waiting to happen. But if you are tight on space, they are worth their weight in gold.